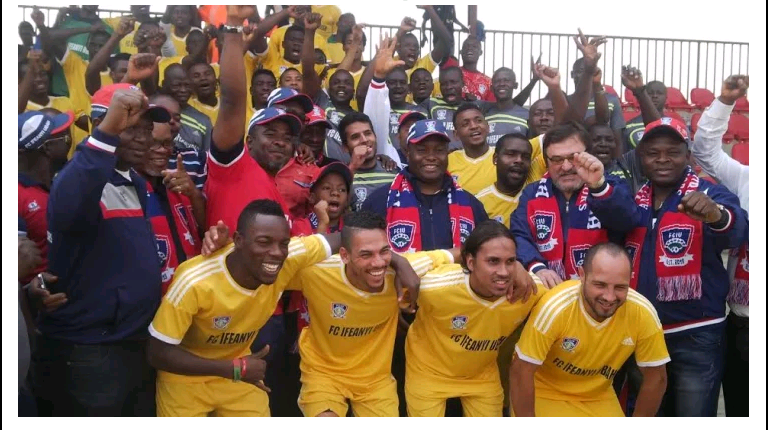 The management of FC Ifeanyi Ubah has confirmed the road crash involving members of the team en route to their match with Sunshine Stars of Akure on Sept. 2. The club’s Chairman, Chuma Ubah, who described the incident as pathetic and excruciating, said the team was coming out of the trauma. He assured their fans that two of the seriously affected players of the team were responding to treatment while others and their fans had continued to support the team. According to Ubah, sequel to the reports making the rounds this morning, we wish to confirm that FC Ifeanyi Ubah’s team bus conveying the players and officials was involved in an auto accident. “The accident occurred along Benin/Ore expressway while we were on our way to Ijebu Ode to honour the Nigeria Professional Football League (NPFL) Match Day 36 fixture with Sunshine Stars billed for Sunday, Sept. 3. “Six of our players sustained varying degrees of injuries and two that are unconscious hitherto have regained consciousness and are receiving treatment presently at the closest medical facility near the scene of the accident. “We wish to express our felicitations for your concern, support, show of emotions, deepest thoughts and prayers at this sad time,’’ he said. Ubah said the club would come up with decisions on the matter as related to their ability to honour the match as scheduled. Meanwhile, a source close to the club and the accident was due to lane violation of the driver who rammed into the team vehicle.